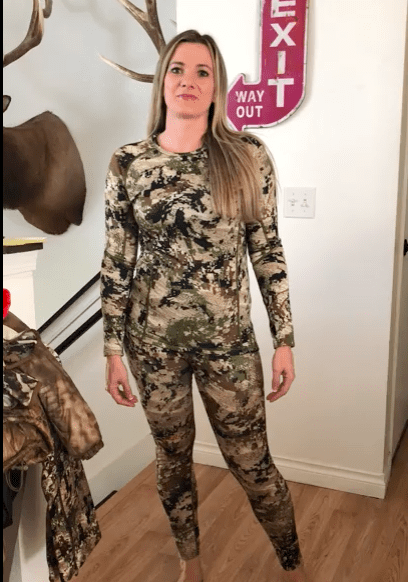 Like every other female hunter, I struggled to find hunting clothes that fit. My husband Ryan tried to outfit me with everything he could find from companies he used and trusted, but there were only bits and pieces, not really a full line. 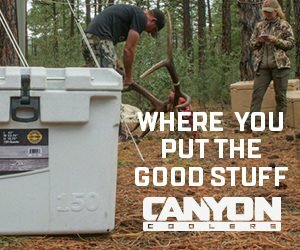 I had been using some pieces from First Lite that I really liked, but and I was curious about what the competition offered. Specifically the Sitka Women’s Big Game Line. When we saw what Sitka had in the works we were pretty excited. 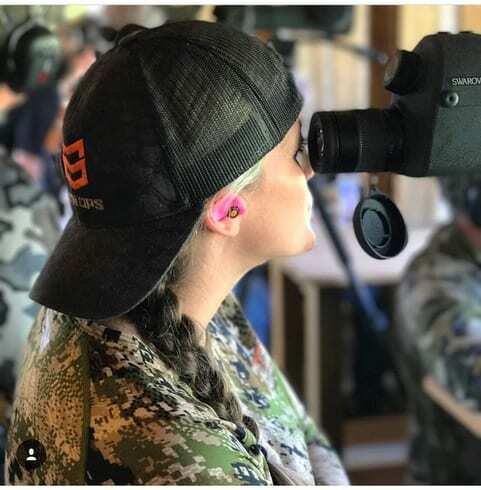 Our friend and Rokstaffer, Becca Moffat had put the prototype pieces to the test and I knew I was in business after she gave her stamp of approval. 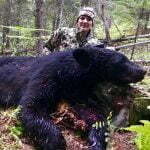 Last year, I was able to get my hands on the Sitka Women’s Big Game Line. 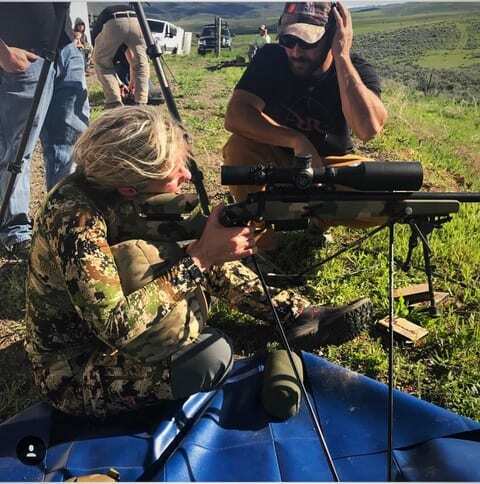 Over the last year and a half, I wore the pieces for a couple hunts, at the shooting range, and the Red Rock Shooting School. 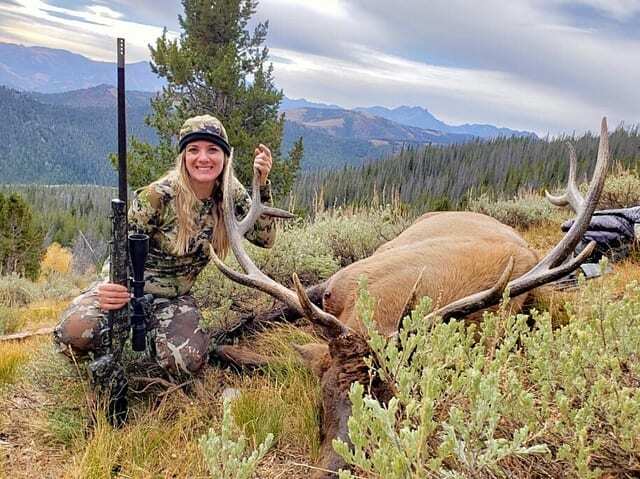 From our Avery Adventures podcast, we did with John Barklow of Sitka, I knew that this clothing had been tested out by several women hunters of different body shapes. I was pretty confident it would fit well, and it did. 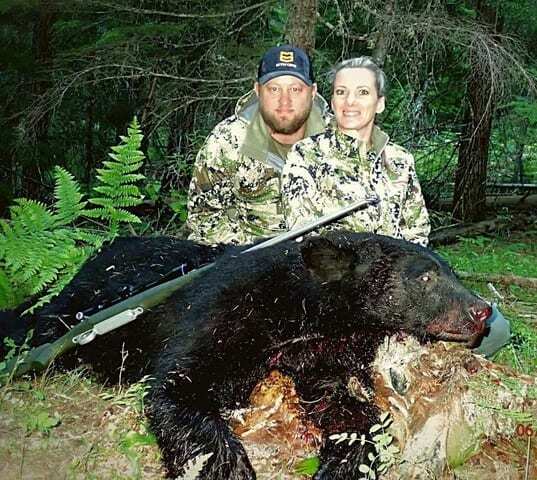 I also liked the SubAlpine pattern and felt it would blend in really well where Ryan and I hunt in North Idaho. For reference, I am 5’5 and 130 lbs. I typically wear a size 2-4 in pants, and a small or medium in tops depending on the brand. I have broad shoulders and long arms, so if the shirt is long sleeve, I will typically do a medium or even a tall size if available. In jackets, I wear a medium, but in some brands, a large. I absolutely hate when the sleeves shrink up and they are 1-2” above my wrist! 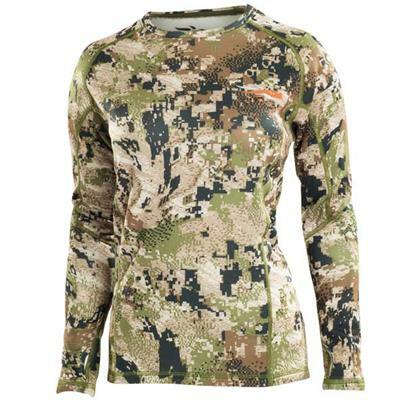 The Sitka Women’s Core Midweight Crew LS (link here) fit true-to-size. Sleeve length was good and the thumb hole only helped in that department. 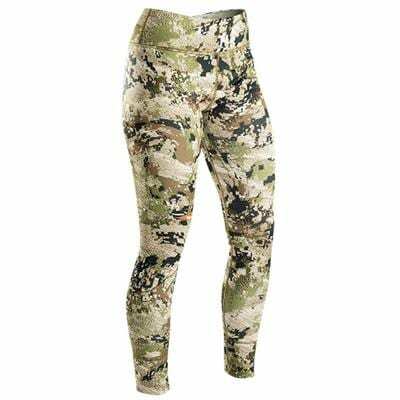 The Sitka Women’s Core Midweight Bottoms (link here) fit pretty true-to-size. But they did that thing a lot of leggings do: slide down and sag in the crotch throughout the day. If I was to suggest one improvement, it would be to have wider elastic in the waistband, not just a wide waistband. Otherwise, they fit and looked good. Day 1: It was in the ’40-’50s and we had about a 15-20 mile wind. 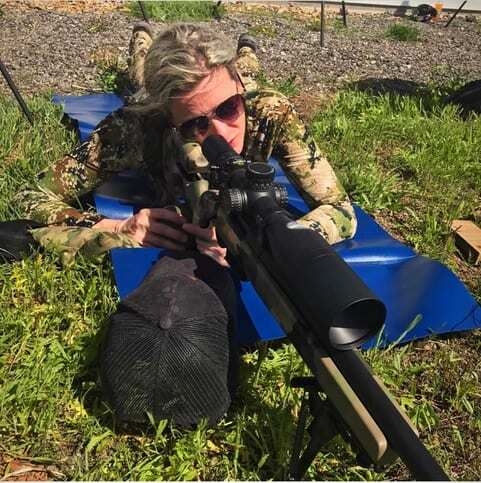 I wore the midweight base layers with the Women’s Timberline pants from Sitka at the shooting range. I felt like they did a good job keeping me warm. But, I did have to keep pulling down the back of the Core Midweight Crew because I kept changing my body position to shoot. I realized it wouldn’t hurt my feelings if they made it with a longer back, or just made the shirt available in tall sizes. Day 2: We went up to a ridge where it was extremely windy and cold– 20-30 miles per hour and in the low 40’s. I wore the same setup with the Kifaru Lost Park Parka and kept warm the entire time (about two hours) Later that day, we went to another location, and I had the same experience. I realize the Lost Park Parka is an extremely warm jacket, but I feel like because it is a men’s, it tends to let a lot of heat out on me at the waist. The Sitka Women’s Core baselayers kept that chill away. May-June, the weather was in the mid-‘50’s with a slight wind and we were in the shade during our several day bear hunt. We had a small hike in but were mostly sitting for several hours each day. I felt again that the baselayers did a good job of cutting the wind and kept the chill at bay better than the other base layers I have used. The camo also blended really well because we were only using a ghost blind for cover. I feel like if you are going to be using these with a lighter outer layer you will really be impressed. During this hunt, we saw sun, rain, and snow. And of course, it was really windy! We had to hike about two miles in the cold, dark, and wind from our basecamp to where I ended up shooting my elk. I layered the Core midweight top under a puffy REI vest and the Core midweight bottoms under the First Lite Alturas pants to hike in. This setup kept me warm during our hike. I feel like they did a good job of wicking the sweat away, and I didn’t feel all sticky and gross once we got to our destination. Once we got to the spot, I very quickly put on my Kifaru Lost Park Parka on and a pair of puffy pants. It was pretty cold and the sun was still rising. We glassed for about an hour or two before I got my opportunity to shoot but I would have been ok for the entire day with my clothing set-up. 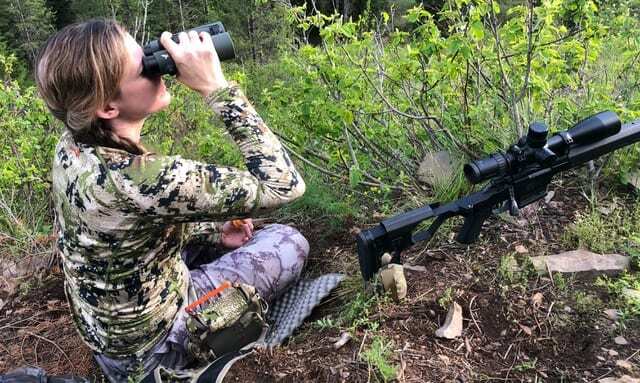 I really liked the SubAlpine camo pattern and I feel like I could utilize the Sitka Women’s Core midweight baselayers in several of my hunts every year. I like how the mid layer pieces are thick enough that you don’t have to wear a lighter weight piece underneath (unless you really run cold). They keep you warm with just a light puffy or other lighter weight jacket over the top. The sizing as I stated above runs pretty true-to-size, although I would size up if you plan on layering under it. 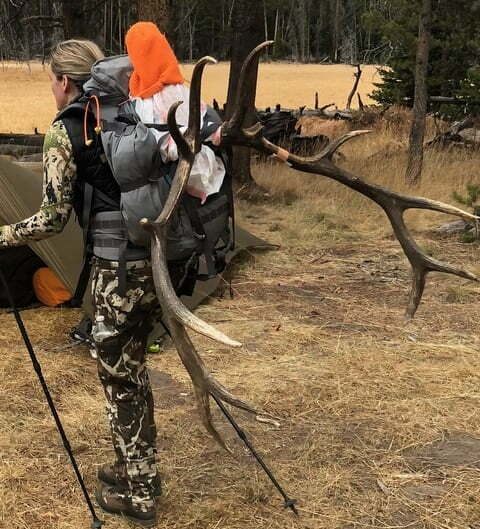 Don’t forget to check out Jordan’s review of the Sitka Women’s outerwear. You can comment or ask Tanya questions here.